The SKY SILVER SERIES is offering the most affordable choice of all Sky Guitars. 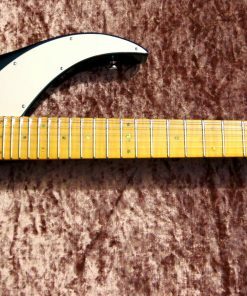 While most UJR Sky Guitars are mainly master built by hand, the Silver Series is manufactured according to a custom shop approach, where certain actions are performed using CNC. Due to this these guitars can be more affordable. Featuring the battery powered Mega-Wing I Active Pick-up System, the Silver Series SGs offer a rich tapestry of tones and colours. 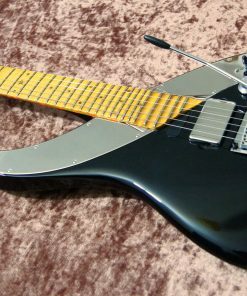 Because they are battery driven these guitars have less gain than those equipped with the Mega-Wing III systems. However, the overall gain level is still substantially higher than that of any other guitar on the market. 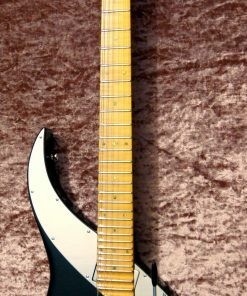 Visually, these guitars are finished with a “silver theme” as opposed to that of the gold plated hardware used on most SGs. The position lights come as red LEDs instead of cyan blue. 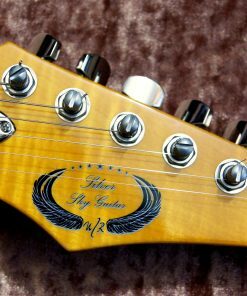 Guitars of the Silver Series are fully-fledged Sky Guitars in their own right and play just as well, but they offer less frills than those of the more expensive series.